This guide can work well for you if you are a Bible study leader charged with guiding a class through thirty-minute to one-hour studies. 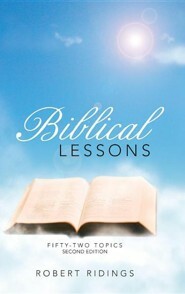 Each chapter in Biblical Lessons focuses on a particular topic, draws upon the full range of the Bible’s books for its sources of insights, and asks pointed and probing questions that help to make the connections between the truths of the Scriptures and the details of living as Christians in the midst of trying circumstances. 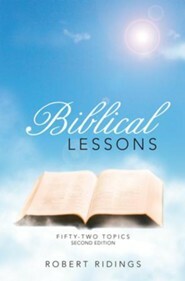 What's more, the lessons can provoke deep self-examination if you desire to follow the Lord more devotedly. These lessons aim to help you embrace the truth that Christians live life to the fullest when they live faithfully in Christ.